← Why our deep-seated commitment to investigating Meryl Dorey? One would think that the past year of embarrassment for Australian anti-vaccine chiropractors would be enough for some pause for thought. But, I guess, when someone has the capacity for anti-vaccination belief, one can think anything is appropriate. Recently the Flying Floreanis™ visited an anti-vaccine chiropractic religious event in California – CalJam – run by well-known deranged chiropractor, Billy DeMoss. Jennifer Barham-Floreani and her husband Simon Floreani even had their pictures taken with anti-vaccine king-pin Andrew Wakefield, as well as the barking mad DeMoss – that’s one huge F-U to the Chiropractic Board of Australia right there. 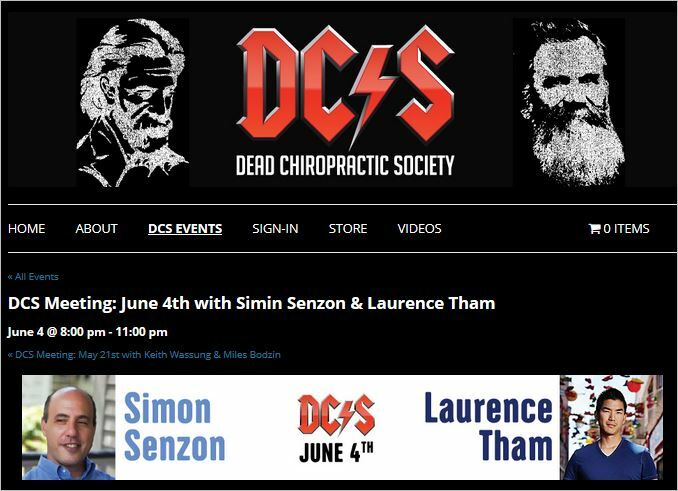 So I do find it odd that Australian chiropractors who are well aware of the damage their anti-vaccinationism has done to their profession persist in hanging out with people of the calibre of DeMoss. As a reminder, let’s see what DeMoss has come out with of late. Chiro pride, folks. Chiro pride. Nothing like a bit of exploitation of your underage marks [redactions mine]? Chiropractic is in some serious trouble. This entry was posted in anti-vaccination dishonesty, australian vaccination network, AVN, chiropractic, meryl dorey, skeptic, stop the australian vaccination network and tagged AHPRA, Andrew Wakefield, anti vaccination, Australian Health Practitioner Regulation Agency, Australian Spinal Research Foundation, australian vaccination network, AVN, Billy DeMoss, CAA, CAA WA, CalJam, Chiropractic Board of Australia, Chiropractors' Association of Australia, Chiropractors' Association of Australia Western Australia, Dead Chiropractic Society, dishonesty, Jennifer Barham-Floreani, Laurence Tham, meryl dorey, Simon Floreani. Bookmark the permalink. “Squealer” font by Ray Larabie. I had often wondered about that. Cheers. Co presenter Simon Senzon has an agenda as well. He is part of the Integral Institute and the interesting Ken Wilber who with collegues is convinced he has discovered the next wave of esoteric Buddhism called ‘The Fourth Turning’ which will be the next uncompromising, ephemeral ‘philosophy’ to re anchor ourselves down to the supernatural and its enlightening influence on evidence gathering, conspiracy theory, poor research and falling clinical practice standards. Most Chiropractors have absolutely no idea that their profession is being defined by the personal beliefs of a small minority without their consent. We are so familiar with a ‘vitalist’ philosophy that we don’t pause to question exactly what it is, that it requires no proof and therefore is fertile ground for charlatans and their credulous audience.